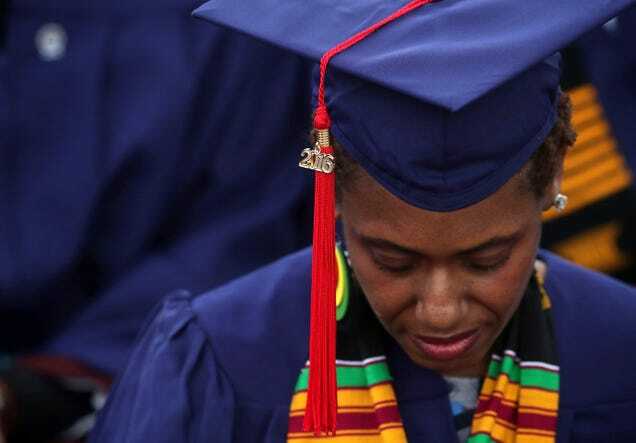 Is Racism the Reason Why HBCUs Have to Pay More for Loans Than Other Schools? If you want to see how systemic—and endemic—racism in the U.S., follow the money. A new study that traced the lives of millions of American children found that Black boys from wealthy families still earn less in adulthood than white boys with similar backgrounds. The post New Report: Rich Black boys have no advantage in becoming wealthy Black men appeared first on theGrio. The National Urban League’s State of Black America 2017 report is optimistic on some points, but outlines a lack of access to opportunities. The post Black Americans are living longer, but need more to improve their lives appeared first on theGrio. The racial wealth gap is so stark that two parents of color can't even close the gap to compete with a single-parent white household. The post Black, Latino two-parent families have half the wealth of white single parents appeared first on theGrio.